Bexhill is not alone in having parking problems in Sussex. In Lewes, the problem is finding a parking space. In Brighton it is imperative you have enough change to feed parking meters which can demand as much as much as £2 per hour. Have these high parking charges pushed people to park in residential areas? But I think Bexhill may be able to learn something from the parking scheme Brighton is introducing in some residential areas outside the town centre. Residents pay £100 per year for a permit, which may seem a great deal in a place which is already very expensive to live in, but I think residents are beginning to see the benefits. Only residents are allowed to park in the roads between 11 and 12 am and 6 and 7 pm. This ensures that residential roads are not clogged up for the day by cars of workers or campervans. 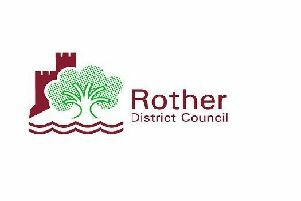 I am sure if some of our Rother councillors exerted themselves, they could work with East Sussex County Council to ensure parking is decriminalised. Then, if they put their thinking caps on, they could come up with schemes which would suit our town and resolve parking problems . Watching ‘Victoria’ at the weekend made me wonder, if Prince Albert came back, would he see local ‘politicians determined to keep still and stay the hand of progress’? Now is the time for action and progress on parking.